Alberta Driving License test is right here? Hone Your Driving Skills Under Our Expert Guidance. drive on various roads and highways. We’ll Teach You Safe Driving that Helps You on Every Journey. Universal Driving School is a Calgary based driving school that has been teaching car driving skills to new drivers for the past many years now. Our trainers help new drivers drive safely and confidently. We make sure that our students are ready to take the Driving test and successfully obtain their driving license. For all our driving courses, we offer a free pickup and drop off service to save you both time and hassle. We understand that our students can be college students, working professionals, elders or just anyone. That’s why, we have flexible schedules so that they can fit your needs. 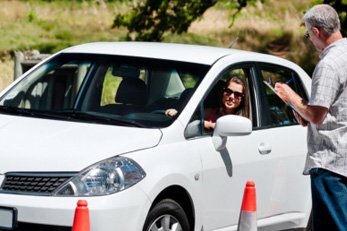 There are various driving schools in Calgary who claim to be the best. But, what sets us apart is our experience, office location and driving courses. We offer unbeatable customer service and strive to produce successful students. Our wide range of driving courses include defensive driving course, brush-up, insurance reduction course and more. Our aim is to produce drivers who can drive safely on the roads while adhering to traffic rules. Appearing for driving license test? Enroll in our car driving class and clear the exam successfully. Senior citizens often misinterpret new driving rules. We help you refresh your driving skills. Whether you want to learn highway, street driving or defensive driving lessons, our instructors are there to hone your skills. Why Choose Universal Driving School? There's no need to wait for buses anymore. We make learning driving easy that you learn within few weeks. At our driving school, we offer affordable driving packages. Anyone can afford our customized packages and start driving. Our friendly instructors are always there to remove your driving related doubts and help you feel relaxed behind the wheel. Our driving lessons are highly interactive. Real world practice ensures you are not bored with the instructions! People fear winter driving. Our professional instructors teach you how to drive safely on slippery and icy roads. Our students can learn at their own pace. We offer flexible scheduling that lets you plan your class timings. We have highly qualified, professional and experienced drivers that teach you defensive driving. We hone your highway or street driving skills so you can always reach home safely after every journey. Our professional trainers teach the students about how to operate and maneuver a car to become a defensive driver. Universal Driving School Calgary educate them of all the rules and regulations to make them responsible behind-the-wheel. With our most comprehensive driving courses, we help you to achieve your goal quickly and affordably. Thank you so much Universal Driving School for helping my daughter Diana pass her driving test. This is a great accomplishment and now I am confident about her driving skills. You were a great Behind the wheels teacher and made the class enjoyable and relaxed. The teacher was an excellent driving instructor! He was very approachable and I was never hesitant to ask him questions. Thank you! Amazing driving school and amazing instructors! He had a lot of faith in me and taught me the skills I needed throughout my learning experience. I would recommend you to absolutely everyone. Students are allowed to choose their instructors since we have both male and female instructors. Our instructors can communicate in various languages to make sure you learn in your dialect. With extensive experience in car driving training, we know how to improve your driving skills. 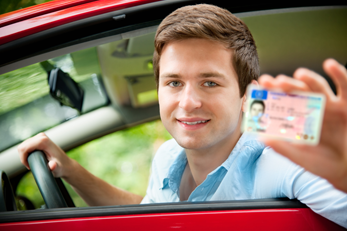 All of our driving staff is qualified by Alberta Transportation to impart car driving lessons.